WHITMAN SCHOOL REPORT CARD – EXCEEDING EXPECTATIONS! The Whitman students and staff are proud to announce that, once again, Whitman School is “Exceeding Expectations” on our WI Dept. of Public Instruction school report card! 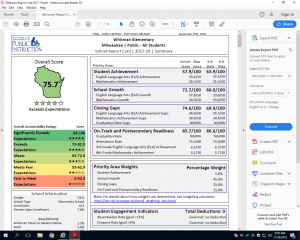 Click here to see the full report card. 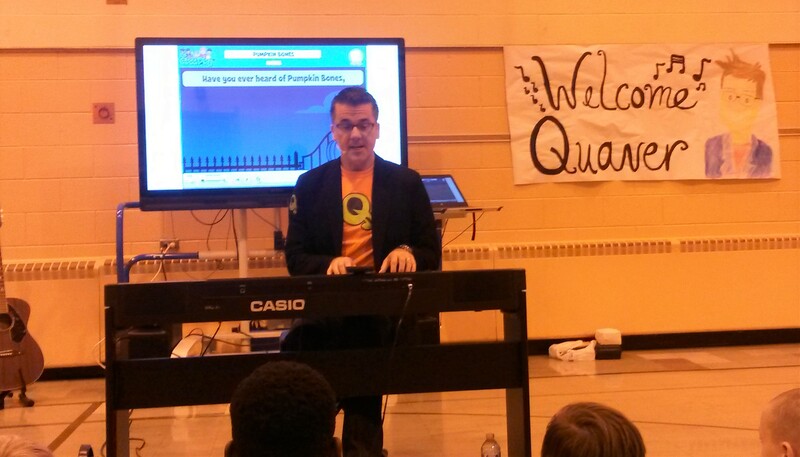 Whitman School’s Guest Performer – Quaver! 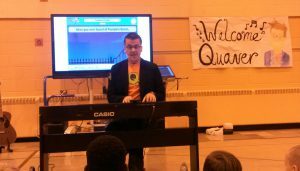 Whitman School was honored to have Graham Hepburn, also known as “Quaver”, join us for a fun and educational performance. 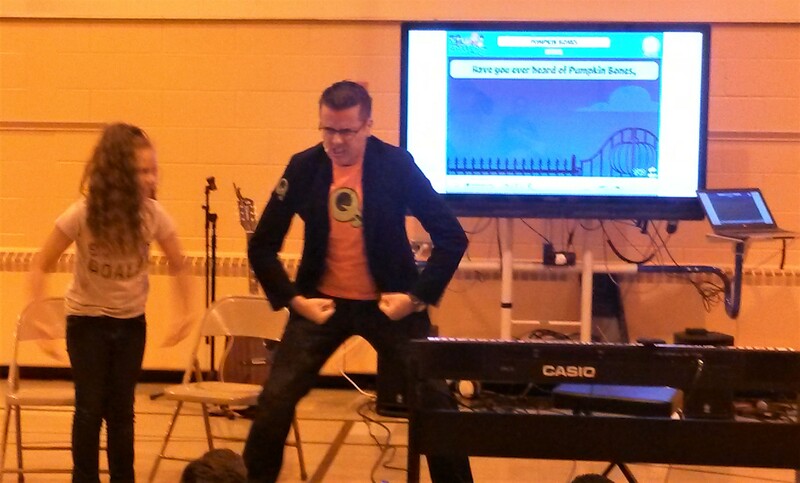 Quaver Music is the world leader in music education for grades Pre-K to 8. 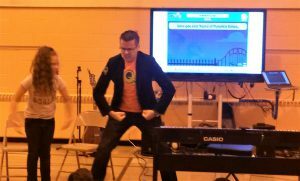 Their music education programs have been adopted by more than 8,000 schools worldwide. They support schools in 50 states and 30 countries around the globe. 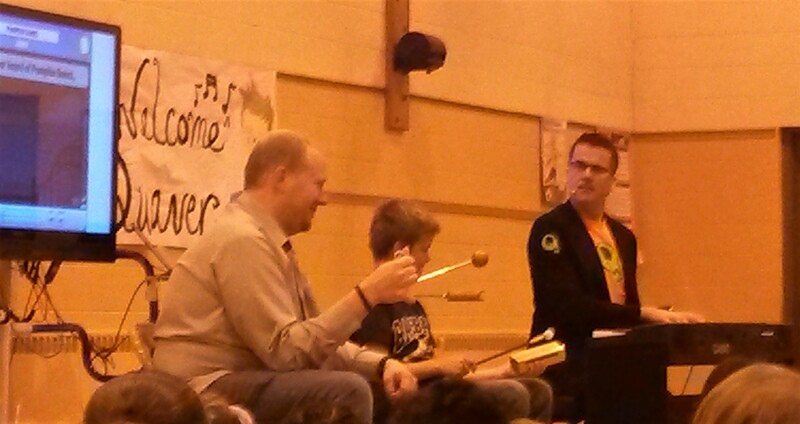 Thank you to our music teacher, Mr. Budziszek, for organizing this wonderful event! I am very excited to be joining the community at Walt Whitman School and eager to meet all of the students, parents, and community members. I also wanted to share my professional journey before joining the Whitman Family. I have been in education for 23 years, 18 of those years within the Milwaukee Public Schools system. I spent the last five years as Assistant Principal at Golda Meir School. While working within the Golda community, I was able to expand my knowledge of Gifted and Talented education and how to best help students maximize their learning potential. Before that, I was a guidance counselor at many different schools: Morse-Marshall, Northwest Secondary, WEB DuBois, and John Muir. I was also an elementary school teacher at John Burroughs and in Austin, Texas. I believe my varied background provides many experiences in which to draw upon to help Whitman students be successful. I believe in focusing on the whole student: academics, social emotional, and college and career readiness. At Walt Whitman School, we envision a rigorous, standards-based curriculum where all students will demonstrate the knowledge, skills, and mindset to perform academically at or above their grade level in all disciplines. Every day, every student will engage in learning that will prepare them for success in post-secondary education, future careers, and life-long learning. This is the foundation we will use to guide our instruction during the year. I look forward to working with you all this year. Parents are an integral part of student success. 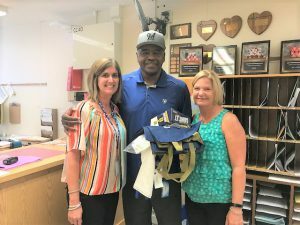 We need you to continue to be involved in the Whitman Community by supporting your students and being an active participant at our school activities. Please do not hesitate to reach out to me either by email, causeydx@milwaukee.k12.wi.us or phone, 414-604-7705 with any comments or concerns that you have. Please allow me 24 hours to get back to you. Larry Hisle – Mentor, Former World Series Milwaukee Brewer, & Whitman Wildcat! Mr. Hisle talks with Ms. Rezash’s 2nd grade class about the importance of their education. Mr. Hisle visits with our principal, Ms. Clemens (left) and one of our teachers, Ms. Grant. Larry Hisle played for the Milwaukee Brewers in 1982, their World Series year. He was the first designated hitter (DH) in major league baseball. He is a former MLB All-Star player. After the Brewers, Mr. Hisle went on to win 2 World Series rings with the Blue Jays as a coach. He currently serves as the Milwaukee Brewers’ Manager of Youth Outreach. But ask Mr. Hisle what his favorite role is and he will tell you in his gentle, quiet voice that he feels mentoring youth is his most important mission. He has done it for years…day in and day out. Whitman School has been and will continue to be honored with his presence. Whitman Wildcats love you, Mr. Hisle! 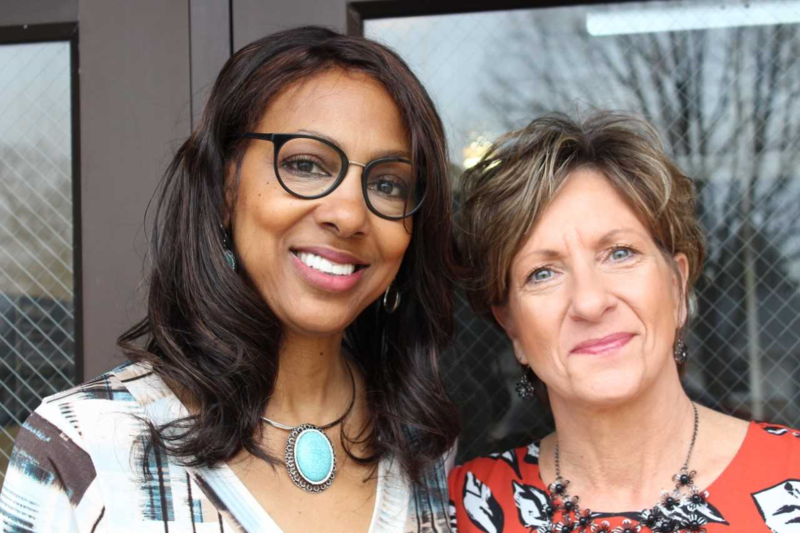 In April, Whitman School was thrilled to be named one of the 16 statewide 2018 Herb Kohl Educational Foundation Vanguard Winners for “fostering high quality learning opportunities that drive success for students and teachers.” Additionally, Ms. Schumacher-Stefanovic (our former principal) was named a 2018 Herb Kohl Educational Foundation Leadership Award Winner! 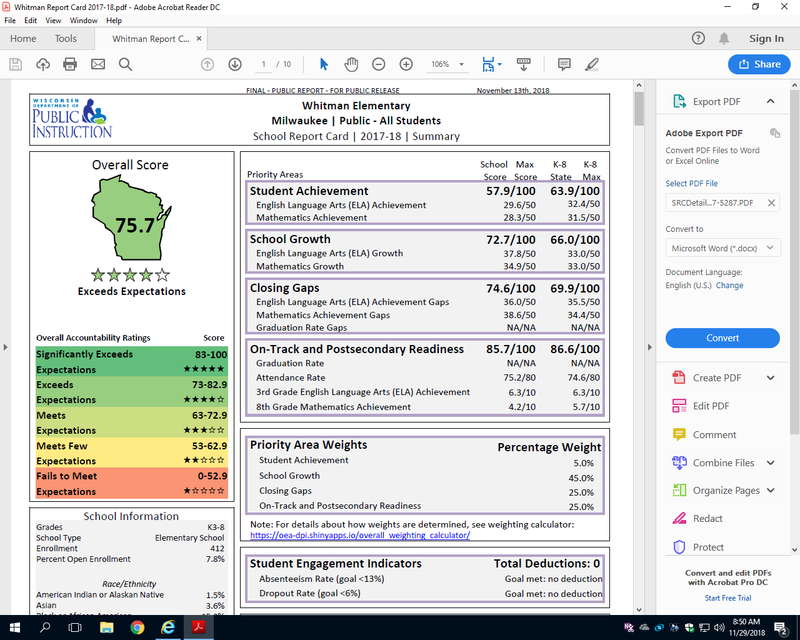 An intensive application was completed and reviewed by a committee composed of the Wisconsin Newspaper Association, Department of Public Instruction, Council of Religious and Independent Schools, Regional Cooperative Educational Service Agencies, Association of Wisconsin School Administrators, and the Wisconsin Parents Association. Whitman will receive $6,000 from the Kohl’s Educational Foundation in June. The official district celebration took place at Walt Whitman Elementary School on the first day of school, September 5, 2017. 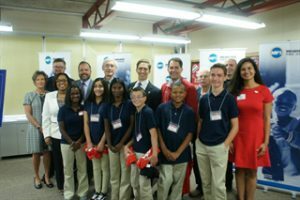 Along with MPS Superintendent Darienne Driver, others who welcomed students included Governor Scott Walker, Department of Public Instruction Superintendent Tony Evers, State Senator David Craig, Alderman Mark Borkowski, MPS School Board Director Paula Phillips, and other community partners. Students were greeted by Bango, mascot for the Milwaukee Bucks, and by members of We Six, a jazz ensemble from the Wisconsin Conservatory of Music. The Whitman students and staff truly enjoyed the opening day celebration! The Whitman team is excited to have our returning and new students and families with us for this school year. Our goal to provide your child with a strong academic foundation, in a caring school environment. · Being named a WI DPI School of Recognition for four consecutive years, five years total! Whitman qualified in the Beating the Odds category. · Receiving three WI DPI awards—PBIS (Positive Behavior Intervention and Support) Silver Level Award; RTI (Response to Intervention) Silver Level Award in Reading; and RTI Bronze Level Award in Mathematics. · Earning the Superintendent’s “Excellence in Equity Award” for high academic achievement gains for all ethnic groups of students. · Continuing as a GE Demonstration School! 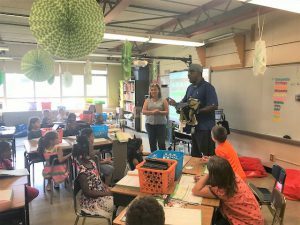 Whitman serves as a model K-8 school, implementing the common core curriculum at high levels, with excellent student engagement and learning in all classrooms. · Being awarded a “Green Machine” by GE. This hydroponic growing system produces leafy green vegetables and herbs in a one month time span. We are excited that our students have the opportunity to be involved with this STEM project! During this school year, our school staff will be focusing on several key initiatives including; 1) increasing the academic achievement of all students, with an emphasis on reading, 2) continuing with last year’s writing initiative, and 3) continuing to increase parent/family engagement at Whitman. If you have friends or family members that are still looking for a school home for their children, we still have available seats in some grade levels. Please let them know what an excellent academic program Whitman offers! We are looking forward to working with you and your children. Please feel free to contact our principal, Deborah Clemens, at 414-604-7700 or at causeydx@milwaukee.k12.wi.us if you have any questions.